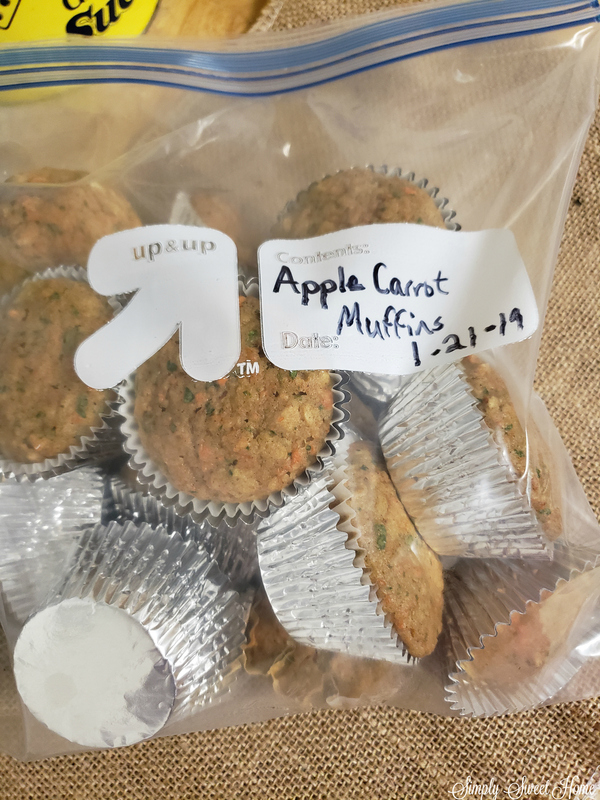 Apart from being very wholesome, these muffins are delicious and very moist! Hope you enjoy! Preheat oven to 350F and grease a 24 cup muffin tin (or use cupcake liners). Place the flour, oats, baking powder, baking soda, spices and sugar into a large bowl and stir until combined. Add eggs, vanilla extract, milk and vegetable oil. Mix well with a spoon. Use a food processor to grate your veggies for best result, or you may grate by hand. Add applesauce (or grated apple), grated carrots, and spinach to your mixture, and mix well. 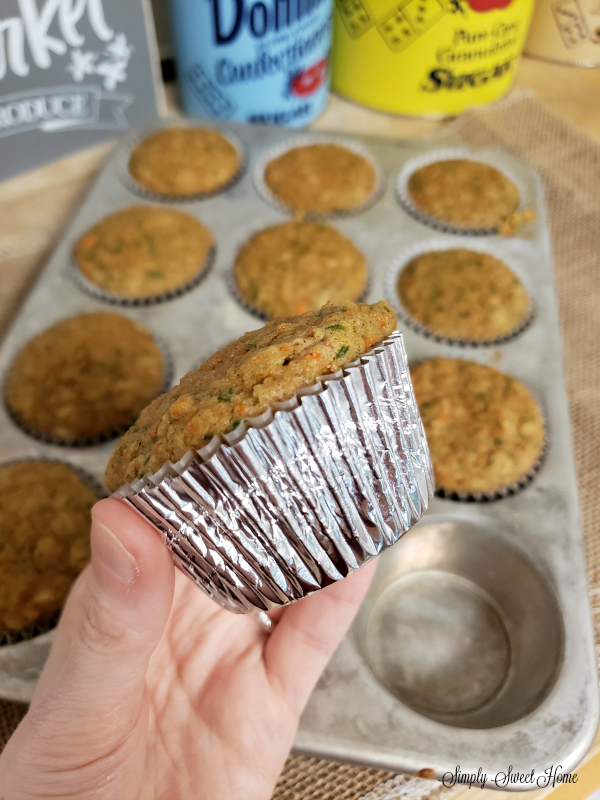 Place a couple of spoonfuls of batter in to each muffin cup. (I use a cookie dough scoop to make sure the muffins come out evenly, and I do 2 scoops in each muffin cup.) This makes about 24 muffins for me. Place in the oven for 15-20 minutes, until your muffins rise and a toothpick comes out clean. 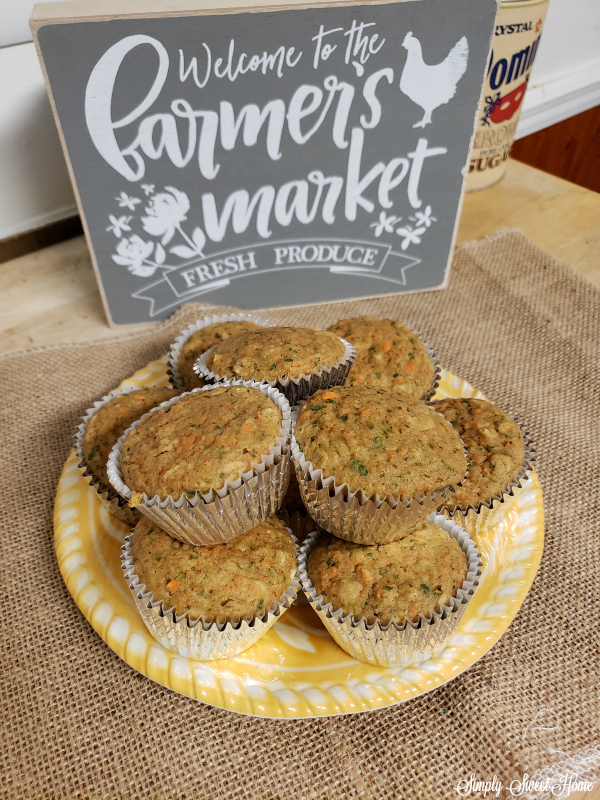 Do you love homemade muffins? I’d love for you to share your recipes with me! 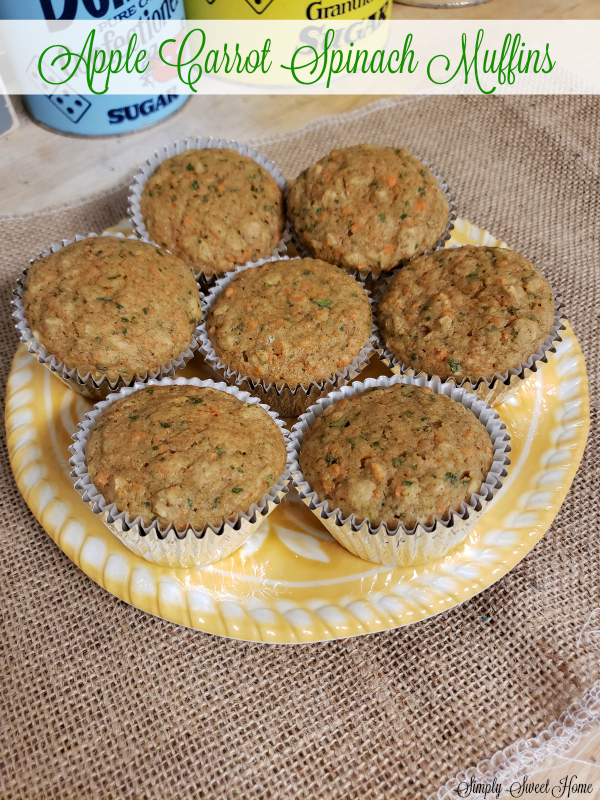 Please leave a comment on this post, or share your muffin recipes at our Friday Favorites linky party!